Sam at what age do you think dyslexia should be diagnosed and "intervened". The not so serious form of dyslexia, ADD or ADHD in a very young child, just starting out, should be ignored, or at best just watched, to taper out on its own. Very early intervention may be more harmful than beneficial. I have my very serious concerns. To quote my own case, I was reading 24 as 42, wrote 69, 96, and spelt dog, bod as I started out, but then became quite smart in maths. 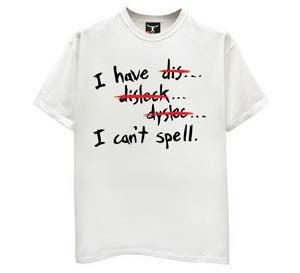 (Can't say the same thing about spelling though! Ha Ha). May be I was lucky not to have been diagnosed!!! Paru, we have found that things like inversions and substitutions are very common and do not always mean that a child has dyslexia. A test like DTVP2 is more diagnostic of overall visual-motor development. One good way to get mildly affected kids over their dyslexia is to get them to do a lot of exercises designed to improve eyesight, perception and fine motor coordination with visual cues. If they enjoy reading, this is a natural therapy that works slowly but surely. There is a lot that one can do with a computer too and some games are very helpful but can get addicting! With a few kids we have found that therapy does not do much good but these kids have shown improvement on their own, especially when their parents and teachers are supportive. What we do is to keep checking with tests about once in 3 months and if improvement stops then after counseling the parents we discontinue therapy. Sam what are the tests included in the DTVP2 series? 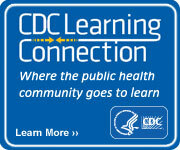 Do you think there is any correlation between any of these disabilities and immunization? Some stabilizers/preservatives (like thimerosal) in the vaccines are supposed to cause one of these and the most tragic - autism. Is there enough data to support or oppose? I don't honestly know the answer to this question. I do think it's possible, especially for autism, and one researcher in England had his career ruined for publishing this data. Just goes to show that immunisation is a very big business indeed involving hundreds of billions of dollars worldwide and the particular drug companies went all out to discredit the research, and it was published in some prestigious british journal too. DTVP2 is one of the tests that we use at Challenge mainly to assess visual-motor perception. There are a series of things like matching figures and tracing lines and then this is scored and checked age-wise for problems or exceptional skills too! Sam, how do you assess visual perception minus motor response? I mean is there any way to check sensory input other than through motor response? And when a defect is apparent, how do you distinguish visual perception defect from motor response defect? It's usually a perception problem and only rarely is it a motor problem. Motor problems would be commoner in say epileptic/spastic children. It's actually not that difficult to find out: Say I dictate F U D G E and the child recites FUDGE back to me but writes FUDDE, FUGGE or FUGDE, then we can suspect that they are not able to make out the difference visually between D and G. This is common. We have a number of such tests that run through shapes, alphabets and numbers and the special educator will be able to easily diagnoste where the problem is coming from for each child. Every child is an individual and the diagnosis must be done with care, making allowance also for the fact that we have in each child a unique and precious personality.